Beautifully presented two bedroom modern home situated in the convenient location of Washbourne Close, Devonport close to local schools, amenities, Devonport Dockyard and Torpoint Ferry. An internal viewing of this property is essential as it has been extensively remodelled and designed to a high standard throughout. The property benefits from a porch, open plan living kitchen area with modern bespoke fitted kitchen, feature staircase and integral sound and lighting systems. The first floor benefits from modern fitted family bathroom and two double bedrooms with vaulted ceilings and bespoke storage and sleeping areas. 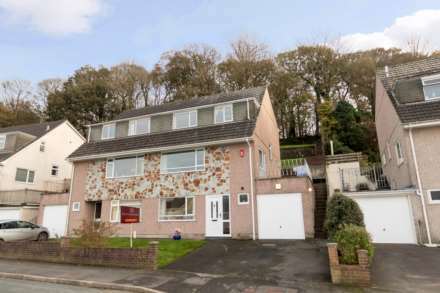 This is a unique contemporary home and would suit first time buyers and also benefits from double glazing, gas central heating, allocated parking and enclosed rear garden.